Arriving later than normal today, we have the Nintendo Download news for all of you gamers in North America. This week serves up a couple of options within Wii Sports Club, while we have the return of a popular WiiWare game, retail options and a number of download-only offerings. Let's get right to it. 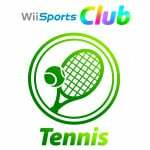 Wii Sports Club (Nintendo, $1.99 for a day pass, $9.99 for individual sports) — There will be a free initial 24-hour day pass for the available sports, which can also be purchased in full, detailed below. This is the updated HD re-release of the classic Wii Sports, which also includes online play, Miiverse functionality and MotionPlus Controls. Remaining sports will be added in the coming months, and we'll review each download item of DLC individually. Toki Tori (Two Tribes, $1.99, will be $3.99 from 6th December) — The first of three Two Tribes Classics coming to the Wii U eShop, this is the HD offering (with additional content) that's based on the PC release. Unlike its sequel, this title focuses on single screen fixed puzzles, some of which are exceptionally fiendish in later stages. We'll have a review for you when it launches, and until then you can check out our Toki Tori WiiWare review and our hands on impressions of the new release. Wario's Woods (Nintendo, $TBC) — This NES title lands on the Wii U Virtual Console, alongside a release on the 3DS service. This is an action puzzle game that holds up pretty well, and we gave it a recommendation in our 3DS Virtual Console Wario's Woods review. KORG M01D (DETUNE, $34.00) — This is an app that may have been eagerly anticipated by musicians that fancy a decent creation / composition tool on the go, even if it does come at a premium price. This is an expanded version of a DS title, with 342 "unique sounds" among other features. We'll get our groove on and let you know what we think. 4 Elements (Tulip Games, $5.99) — Released in Europe as a retail title, Publisher Tulip Games is opting for the download route in North America. It looks like a gem-based puzzle game, though much of the marketing blurb focuses on a backstory involving ancient books of magic and a kingdom in peril. We'll figure out what it's all about in our upcoming review. Secret Agent Files: Miami (Joindots, $7.99) — Well hold on there, kids! This adventure game has some sass, with a Mature rating that warns of "suggestive themes", "strong language" and "crude humor". Won't somebody think of the children? This appears to be an adventure / object finding experience, but we'll find a suitably aged member of staff to write up a review. 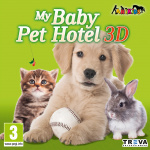 My Baby Pet Hotel 3D (TREVA Entertainment, $29.99) — The latest in what is a rapidly expanding genre on the 3DS eShop, we have another game that puts you in charge of the well-being of various creatures. We'll consult PETA and then let you know what we think. Crazy Chicken: Director's Cut 3D (Teyon, $1.99) — Those crazy chickens return and, once again, you have to gun them down with your stylus and a good aim. We'll see whether this is any improvement over its predecessors in our review, which will be with you very soon. (There is also a DSiWare version of the game on the DSi store but without 3D, obviously). Wario's Woods (Nintendo, $TBC) — As per the Wii U Virtual Console release, but on the portable service. Kid Icarus: Uprising (Nintendo) — Quite why this outstanding 2012 3DS release is on the Download list is beyond us right now, as there's no information on a promotion or discount at the time of writing; perhaps it's a simple mistake? Anyway, this is a brilliant game, but we'll try and solve the mystery of its appearance in the update. So there you have it, quite a lot of options from which to choose this week. Let us know what you plan to download in the poll and comments below. Prepare to lose in Bowling. HEHEHEHE!!! I'll just get the Wii Sports Club games. If anyone hasn't played Kid Icarus Uprising yet, though, then you should definitely give it a shot! Tennis online seems fun. As does toki tori. Does anyone know if Resident Evil Revelations is still $9.99 in North America? @ashlyquin Nope, that price drop ended on Halloween. The cool music app for 3DS costs 34 bucks.... And hey, Code of Princess! Great download day for Wii U and 3DS! There is no mystery as to why Kid Icarus: Uprising is up for download. It became available in Japan about a week ago, although I am surprised to get it so soon after Japan did. I downloading Toki Tori and The Wii Sports Club games. How could there be a director's cut of Crazy Chickens? Really? Some guy actually credited himself as the director of that game? Guess they finally realized that silly plastic stand wasn't actually necessary for playing Kid Icarus Uprising. why does Wikipedia list Super Mario 3 as a VC download for today on the WiiU? Is the $1.99 daily rental fee for Wii Sports for each game or both combined? I'm not paying $9.99 for each sport ($10.85 w/ NY tax) but I might pay $2.16 for both for a big day of amusement. I wouldn't pay $2.16 for just either one either. So, no SM3DW demo? They've been pushing that game so hard I really thought it had a chance. Oh well, 2 more Thursdays before Thanksgiving. For $2, it's time to try out Toki Tori I think. besides Wii Sports (another remake), awful lineup as usual. No Super Mario 3D World Demo yet? I thought both sports downloaded as a single package. I will try them and then decide if I want them. I never play the Wii equivalents anyway, and I dont care about the online. Toki Tori can't be ignored at that price, neither can its sequel once I've completed the first one. If anything I'm courious of the dl size and price of Kid Icarus!? Can I download the stand for Kid Icarus Uprising? Maybe picking up Wario's Woods on my 3DS, but I haven't really decided yet, so I didn't vote. I never use the stand with KI:U. Mostly because I have to hold the 3DS very close (bad eyesight) so being hunched over the stand on a table would be pretty uncomfortable. @ashlyquin It was only supposed to be till Halloween..
For $1.99, I'll take Toki Tori. I haven't played part two yet, so who knows, I might end up getting that one too! 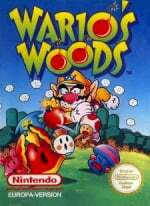 Why do they never release the SNES version of Wario's Woods? I prefer the physical Kid Icarus, because the stand is really nice. Especially if you have an XL. Which I do. I also plan to use the stand to help in Flipnote creation, assuming the title is ever released. Why isnt wii sports being downloaded over spotpass? $10 per sport seems pretty steep. I love how Nintendo talks about wanting to improve Wii U's virtual console and then they only release a single game...and its Wario Woods? How many people do they have working on the VC? An intern who spends his 15 minute break every day porting them over? And I'm not spending $10 on these games, Nintendo. Too pricey. @NBAJunkie The eShop hasn't updated yet, on download days(thursdays) it updates at 9:00AM PST/ 12:00PM/EST. Thanks, Nintendo. Everyone knows we would much rather have Wario's Woods than Super Mario Bros. 3, one of the best NES games of all-time. We'd play Wario's Woods > SMB3 any day, right guys? Seriously though, Nintendo. Why? Why do you guys have to keep putting off SMB3? No one gives a bleep about Wario's Woods. Just re-release SMB3 and get it over with so we'll stop bugging you guys about it. $20 for freaking tennis and bowling? NO. Sorry Nintendo, but you're not getting my money for that rehashed, half-baked garbage. Overall, this was a bad download week. Very underwhelming and disappointing. Let's hope Nintendo makes up for it next week with Super Mario Bros. 3. @Beta - Thanks, good to know. Maybe after I've rented them 2 or 3 times Nintendo will drop the buy price down to $5 each so I can save a few $. Off topic, but are you guys gonna have a review up for the 3DS Batman soon? I honestly rely on your reviews for what I buy most cause they're almost always the most spot-on. Thaaaaanks lol. Great to see that Kid Icarus: Uprising finally makes it to eShop, it's a fantastic game, still my favorite original 3DS game! Also, I found the stand completely pointless, I have no problems playing the game without it (actually, I prefer playing it without that stupid stand). Will get bowling and golf those are my favs.. They need to release golf already.. Tennis was always too wacky unless they fixed something. Toki Tori for $2 is a no brainer considering how good it is (had it on WiiWare many years ago) but it's a damn shame we got screwed on the 60% off of Toki Tori 2+ deal. I was all set to download both but I'm holding off on 2 for now. Also looking to own Wii Sports Club but I'm waiting on the eventual physical disc release of the entire game. @Huachiman: Cause that is what someone put down in Wikipedia. Wikipedia can be edit by anyone and most of the time it is unreliable. As usually nothing for me this week. Secret Agent Files Miami is two dollars in the Mexican eshop. Korg finally got released AND Toki Tori for $2 that's a steal I'll grab Toki Tori and grab Korg at some point in the future. Finally I've been waiting for months for this ish to come out! Are you sure about those dates for Etrian Odyssey IV? The price is already 29.99 for me. I'm a little disappointed that Europe's Toki Tori promotion didn't happen in the states, but I'm glad to see Toki Tori released at such a good price. The Toki Tori games and KORG look to be the ones I'm most interested in. Good week for me. I'm not sure if I'll buy KORG at the price... Maybe I can find more info, because if it's worth it, I'll buy it anyway. $35 for Kid Icarus download! Still waiting for Senran Kagura. Hehe, nice to see Kid Icarus: Uprising on the eshop at a reduce price. It's still a great game to play, and you can still find other players. It is not region locked, so be prepared to face those hard-core Asian players. 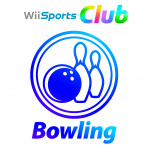 By the way, anyone know if Wii Sports: Club will offer a discount bundle of some sorts? I'm actually really upset at the lack of a ZombiU discount. I was excited at seeing the substantial temporary and permanent discounts in Europe, but North America's is pretty shallow. I really want to play it and in a download version, but when I can buy the disc used for $12, I'm not spending almost $50 for the download. That said, I am excited for Wii Sports Club and Toki Tori and a $2 game is AWESOME. We need more following that example. I can't figure out how to get the free 24 hour pass. I just downloaded it and the 2 sports are greyed out. I don't understand. Every time Code of Princess goes on sale, I hope that maybe someone will show up online finally. Sadly, that is never the case. 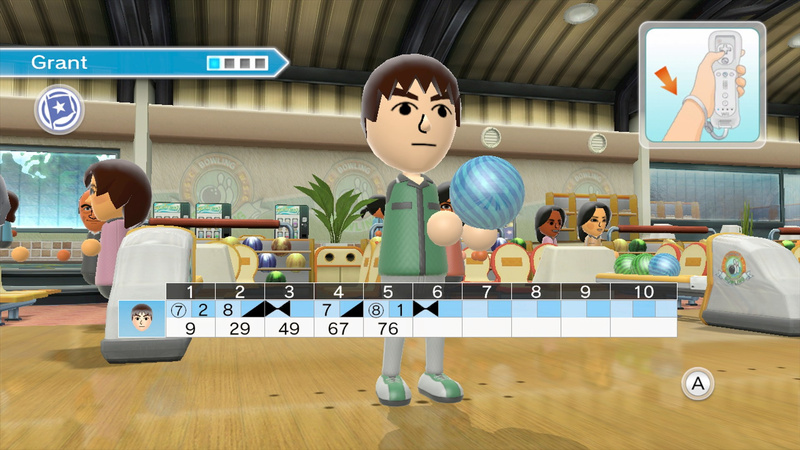 Graphically updated, online-enabled Wii Sports with Motion+ would be awesome, if they weren't so freakin' expensive. Ah sweet! I love "Wario's Woods" ever sense I first played it in the GameCube Animal Crossing. I think I'd rather get it for 3DS, sense I prefer having puzzlers on portable systems. I also prefer how the NES version has a different method for defeating bosses then the SNES version did. Also, Bubble Bobble was recently released in Japan's 3DS Virtual Console, so I'm curious how long we'll have to wait for that childhood favorite of mine. I'll be fine with Toki Tori only, I think. I was going to buy 2+, but I figured out we don't get a similar duscount as EU. Maybe after I play the things I already have I'll go for 2+. I'm liking Toki Tori so far. My brother is getting the KORG app on his 3DS. I voted for Toki Tori! 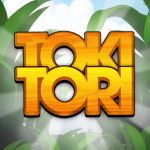 @SirQuincealot- Toki Tori is an amazing game.... They know not to release a bunch of great stuff on the same day as they would eat each others sales. Basically today is Toki Tori HD and the HD Wii Sports games. Those are quality releases. Whether you like them or not is your opinion. @ashlyquin GameStop also gives you the at cards plus a stand and... Oh wait, sarcasm. 3DS eShop has become a haven for shovelware games. It's almost as bad as the Xbox Live Indie games section, almost. I'll get the Wii Sports Club pair once my trial runs out, but I already spent my $2 on Toki Tori. For $2 I guess I should download Toki Tori. Seems as though a lot of you recommend it. No combo toki tori discount on NA? Was about to complain about lack of VC content again, but then I saw the Kid Icarus: Uprising download! Been waiting for that for a long time. You have sated my nerdrage for one week, Nintendo. im with eveyone, get kid icarus! my fav game of last year really top stuff. Maybe they delayed the download because the original release had that included 3DS stand? I found myself not using the stand at all after awhile. I will, and gladly. If I'll spend $60 on brand new games that I can beat in less than 8 hours, I see no reason not to spend $10 on a game I can easily get more than 8 hours from. Especially considering HOW fun it is, and it is amazing. I probably spent over 100 hours playing the golf and bowling on the Wii. @1337man1233 Because Two Tribes had announced that both Europe and US were getting the "buy Toki Tori and get Toki Tori 2+ for 60% off" and then said that the US would not be getting the promo at the last minute. I don't hold it against Two Tribes but it's still pretty lame that we lost out on the promo with no real explanation as to why. Now to be fair, Two Tribes did say they would do something at a later date to make up for it but haven't announced what that is. Toki Tori 2+ is listed at 8.99 as a sale on the eshop....I thought it was 14.99 originally but I guess I didn't pay that much attention....still seems like a good deal but I've never played them. I downloaded the $1.99 deal....Maybe it will hook me in. @JaxonH - I agree.....Wii Sports still gets played every time my family comes over....my 4 year old has been bugging me to play the free bowling & tennis all day....I'll spend the money to get updated versions.....well worth the entertainment for my family. Wow. Wario's Woods on 3DS and Wii U? Double awesome! Of all the puzzle games I've played, Nintendo has published some of the best ones I've ever played, and Wario's Woods is one of them (I played both versions). Another one worth mentioning would be Puzzle League. As for Uprising, if it is coming to the 3DS eShop, I'll be surprised as that is one of the games that I'll want on my SD Card. As for the game itself, as much as I loved the voice acting, story, and characters (Viridi, Hades, and Thanatos are my favorites), the game itself was decent at best. How is Etrian Odyssey IV on sale for $30 when it is already that price anyway? That got a permanent price drop to $30 a while ago. wait how much does wii sports cost used? Definitely going for Wii Sports. Just going for the free day and maybe give it another rental. I'll probably buy the two before Christmas, though. Bowlings a popular one with the family. Downloaded Wii Sports Club bowling and tennis and I'm going to get the Korg M01D on my 3DS as well. Gonna make some dope beats. 28% of people still saying nothing? I mean come on guys, there is a ton of stuff, wide variety for both systems. How are you not getting anything?! Nintendo's Facebook page (specifically Nintendo Handheld Gaming) has confirmed that Kid Icarus: Uprising is available for download. Im losing my patients waiting for that F****** Sonic lost world demo im sending sega letters left and right asking why its not here and they tell me to go to the forums, like wtf will that do watching playthroughs and speed runs on youtube in super HD will not suffice I WANT TO PLAY THE DEMO im seriously trying not to spoil the game for myself since i wont be getting the wii u till next year and .... uge!!!! "Kid Icarus: Uprising (Nintendo) — Quite why this outstanding 2012 3DS release is on the Download list is beyond us right now,"
because it's a good game...? @Zetchzie You're losing your patients? Wow, so you're a doctor. A bad one, apparently, but still. Or are you losing your patience, by any chance? @KeeperBvK lol spelling was never my major but yes im losing my... ~double checks spelling~ patience. I hope Kid Icarus comes to Europe as well during the near future weeks. Code of Princess discount would suit Europe as well. Dang it Nintendo!! Release more Virtual Console games!!! If it wasnt for windwaker i would have already given up on this machine. When does the wii u start picking up, i had it since launch and it's still not impressing me at all, infact im a tad disappointed. Eshop is still bare, filled with games that i already have on other consoles and the downloadable only games are nothing to shake a stick at and mostly shovelware. 4 Elements was released as a retail game in North America in January of 2012. Is there any way of knowing if this download is the same game?